Finally, he shared the Race 3 trailer and said: "Intezaar hua khatam"
Salman Khan, off ho! The 52-year-old superstar teased us a lot before actually sharing the trailer of Race 3, which we were not sure if at all going to release. (Don't blame us, it's all Salman Khan.) After mentioning that the trailer is not ready just yet last week and that May 15 is the day it will release, Salman kept his followers on Twitter busy with a series of 'may-be/may-be-not' tweets. On Monday, Salman wrote: "Kal ka mujhe thoda doubtful lag raha hai," and then followed it up with another on trailer release day: "Kal ka jo doubt tha woh aaj mujhe doubtful lag raha hai." Then began his series of tweets, with which he repeatedly teased those who just couldn't wait for the trailer any longer (all of us, basically). 1 .. 2 .. In 5 mins .. Maa Kasam ! 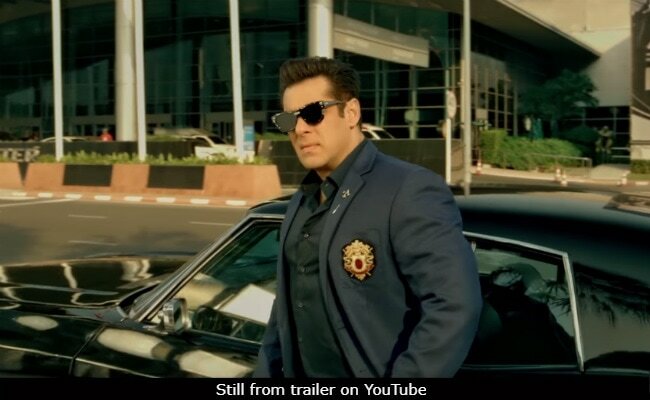 Last week, Salman said that the film's team are keeping movie buffs busy with multiple posters as the trailer is not ready to be shared yet: "Sach Batau . We were not ready with the Race 3 trailer. Is liye itne posters banaye. But Intezar ka fal meetha hota hai. The Race 3 trailer coming to you on May 15 . And I promise you the wait will be worth it." Directed by Remo D'Souza, Race 3 hits screens on Eid this year.